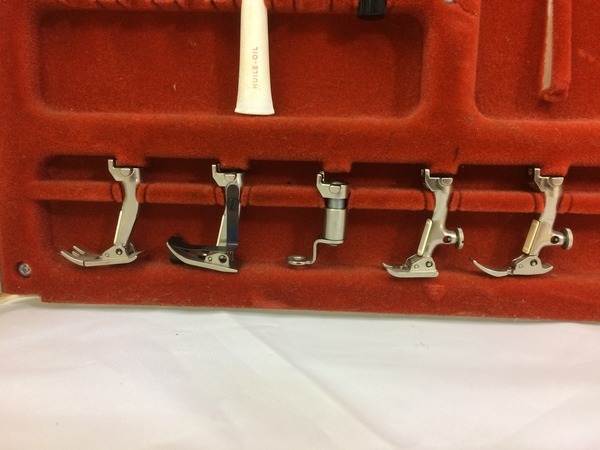 "Nova 900-Overall good shape, serviced and tested. I would rate 6 out of 10. Machine has reddish orange accents. 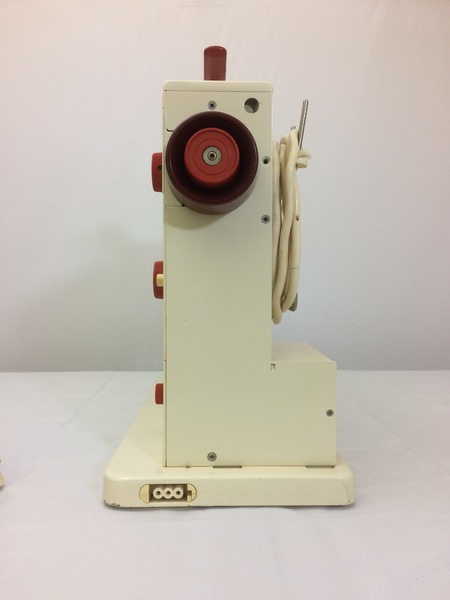 I have included pictures of the actual machine for honest portrayal" Seth, Tech. 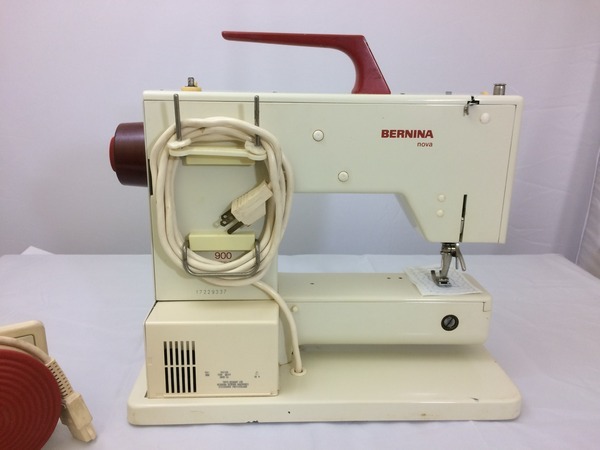 At 15 pounds, the Bernina Nova 900 Sewing Machine is portable and can easily be used in different rooms of the home. 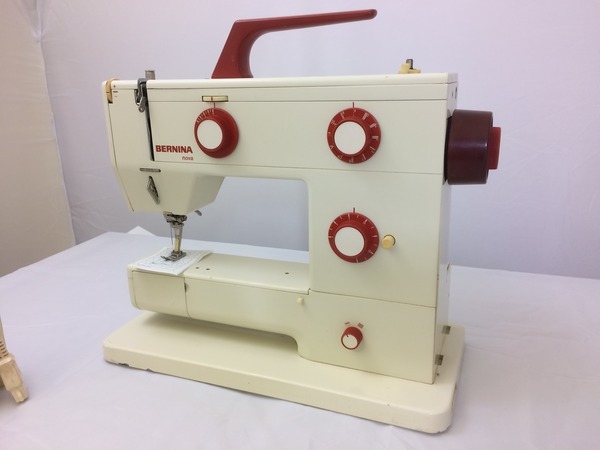 You can make straight, zig zag, blindhem, and a few decorative stitches, as well as a blanket looking stitch, on the machine. 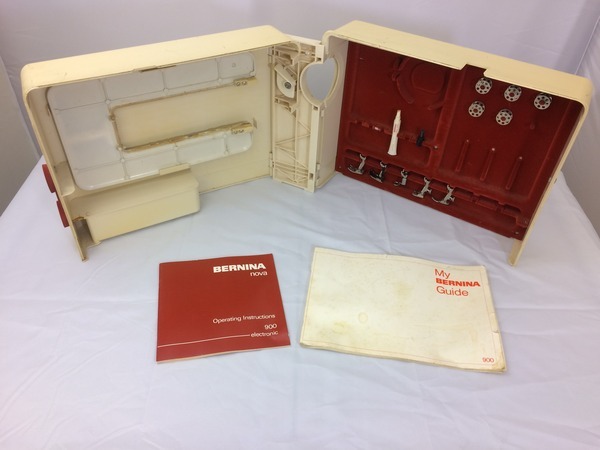 A standard Bernina mechanical 5 step buttonhole feature is also offered. 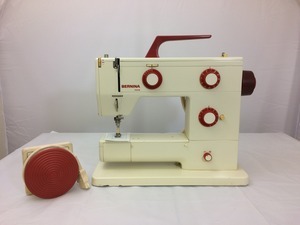 The circular foot pedal makes it easy to run the machine while the wrap around case makes it easy to carry and store. 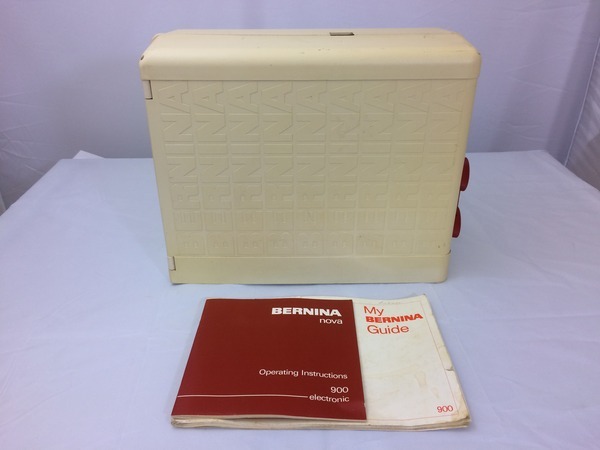 The storage area inside the case is convenient for storing bobbins, needles, and other sewing necessities. 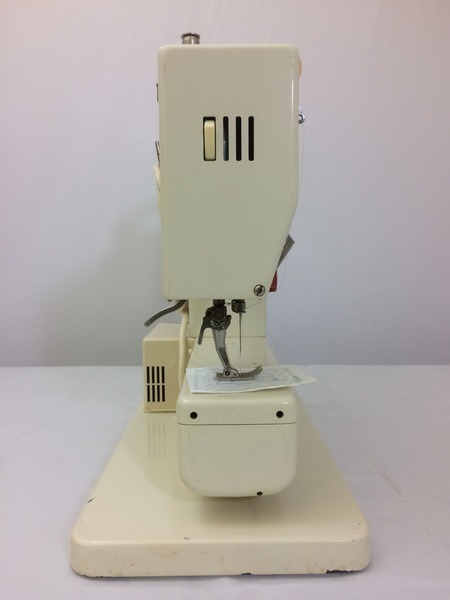 This vintage 1980s sewing machine is an optimal choice for both beginners and advanced seamstresses and tailors. Wrap Around Case, Slide On Table, Bobbins, Feet, Instructions and Guide.